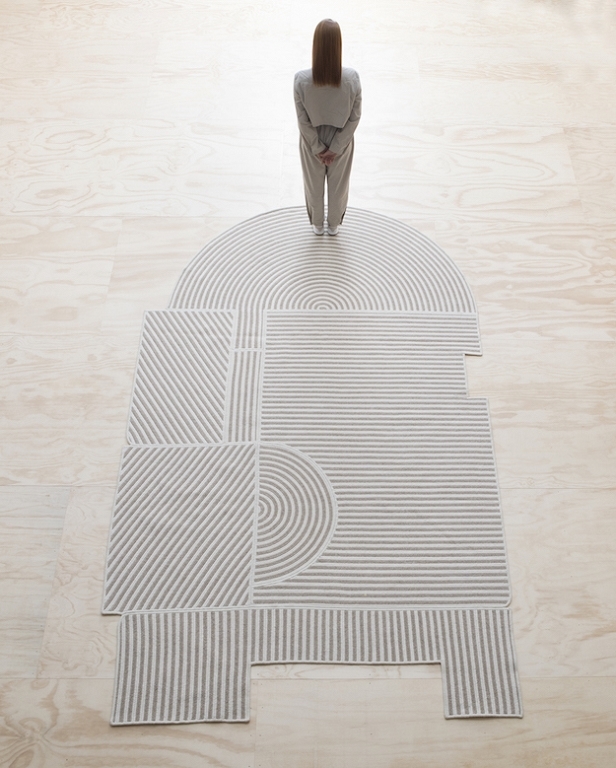 A large braided wool rug made using the same fabrication technique as our Pool Rug series, but with a form inspired by aerial landscapes and crop circles. 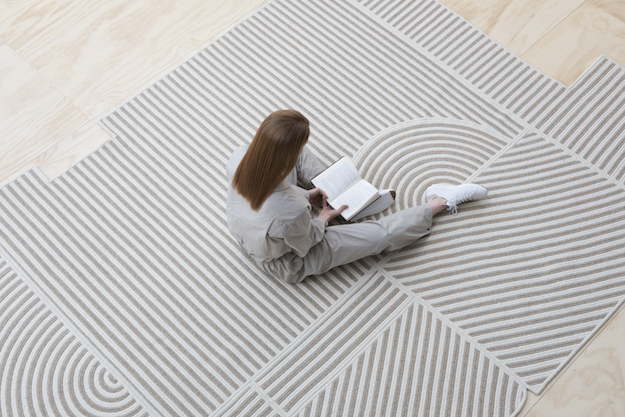 Handmade in New England by a mill with 30 years of manufacturing experience, each rug is braided and sewn to order using natural undyed Canadian wool. Custom sizes, colors and materials are possible. Colors vary slightly. Rug pad recommended. Custom colors and materials are possible. 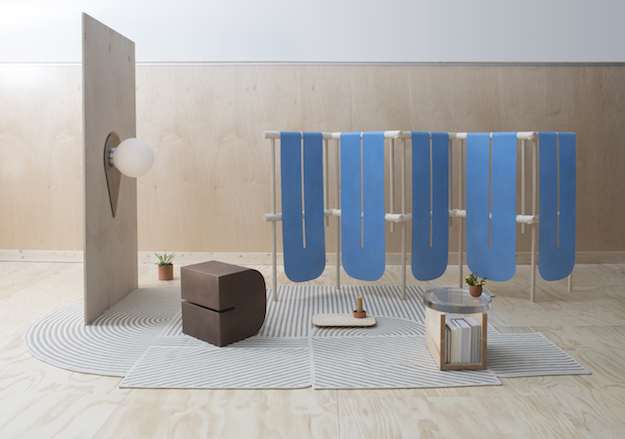 Contact shop@graindesign.com for more information. 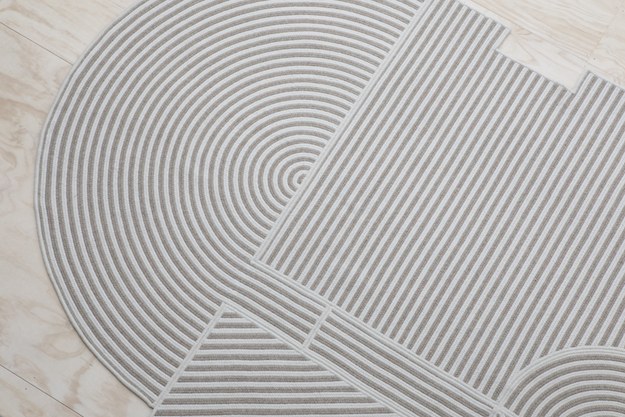 Natural wool is highly durable and naturally stain resistant. Vacuum using the hard surface attachment. Spot clean with soap and water. Professionally rug clean as needed. Made in Rhode Island, USA. Please allow 8 - 10 weeks or contact shop@graindesign.com with special shipping requirements.